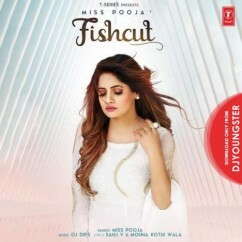 Biography: Miss Pooja real name is Gurinder Kainth and she is very popular female vocalist, As of 2013, she has recorded over 3600 songs, released over 300 music albums (including religious music albums), shot over 800 music videos and acted in five Punjabi films. She debuted with her first duet song Jaan Ton Piyari. In 2009, her debut solo album was Romantic Jatt and the music video of her song Do Nain from that album was shot in Toronto, Canada. In 2010, her first two films were Panjaban and Channa Sachi Muchi. In 2012, the music video of her song "Shona Shona" from her third solo album "Jattitude" was shot in Hong Kong and she also made a debut in the Bollywood Industry with the song Second Hand Jawani from the film Cocktail. In 2013, her third film was Pooja Kiven Aa and fourth film was Ishq Garaari.